Information technology has dramatically changed the way we live our lives and run our businesses, and the translation industry is no exception to this. Globalisation and cross- territory arrangements have made the world a much smaller place, and this has resulted in a need for people to communicate without barriers. Information technology facilitates this on a practical level via the use of email, social media, instant messaging, just-in- time processing, and click-and- collect, but it has also enabled the rise in popularity of machine-based translation – the premise of this being that individuals and businesses alike have identified that there is a need to communicate effectively irrespective of any language barrier. So in this case do we need human translation anymore? The art of translation involves the conversion of a text from one language into another. On the face of it this sounds fairly straightforward, however, it is a complex and intricate process which, in order to produce a successful result, must take account of a number of variables, for instance, linguistic structure, style and tone, cultural context, idiomatic phraseology and fluency. The most important thing is to maintain the integrity of the original meaning of the text. Interpreting any of these elements incorrectly is likely to produce a translation which is unfit for purpose. It could be argued that machine-based translations offer clear benefits to individuals and businesses who are in need of translation work to be carried out. They are often perceived as being the cost-effective option that can also provide the added benefit of saving time. For example, you could simply type a segment of text into an online translation tool, such as Google Translate, and within minutes your work is complete. Many machine-based translators even offer their service free of charge, making them even more attractive, particularly to businesses and students. Machine translators analyse the structure of the original text, then break this text down into single words or short phrases that can be easily translated. Finally they reconstruct those single words or short phrases using exactly the same structure in the chosen target language. To the untrained eye the method described above may seem accurate, but the quality of the translation will invariably be far inferior to that of a human translation, with the majority of machine translators providing nothing more than a basic, literal, word-for- word translation. The primary reason for this relates to issues with accuracy. This is principally because the grammatical structure and style of each language is different, elements that are crucial to successful translation, which machine translators do not take into account. Although this kind of result may be comprehensible enough, it will never sound natural or fluent and it is unlikely to be grammatically accurate. The translated version may even have detracted away from the originally intended meaning. This can be of particular issue for businesses that generally require translated documents and marketing material for a more public and formal audience. This hampering of the concept of ‘communication without barriers’ can present a significant reputational risk to such businesses, which could further lead to damage to professional relationships and loss of revenue and profit streams. It is for these reasons that human analysis of language is imperative. Human translators will either be native speakers or at the very least fluent in the target language. They are generally au fait with the different linguistic nuances that should be taken into consideration in order to produce a translation which strikes the right tone and meaning. Most translators are also usually highly-qualified specifically in the field of translation and they often work in their chosen fields in translation-focused roles. This means that formal and technical styles of translation are far superior to anything that can be produced by machine. This is particularly evident where machine-based translators often leave the words or phrases in the original language if they cannot find a suitable translation. 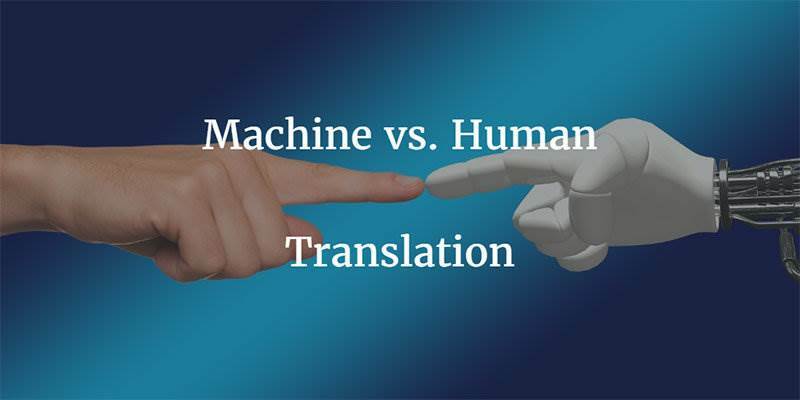 The main issue with human translation is the time it can take to produce an accurate translation, particularly when compared with the speed of its machine-based counterpart. However, what is lost in time is gained several-fold in quality and reliability. The inadequacies in capability and quality associated with machine translations mean that they may only be justifiably used to understand the general meaning of texts and emails. But what use is that? The only way to genuinely achieve quality, reliability and accuracy in translation is not through shortcuts, but through the experience, knowledge, skill and technique that comes with a highly-qualified translator who has a professional eye and a rigorous knowledge of the subtleties of language. In this case there is no substitute for human intervention. Mike Parsons strongly believes in the human side of translation services, especially for important documents such as legal translation. He currently works for a company called Kwintessential.co.uk.